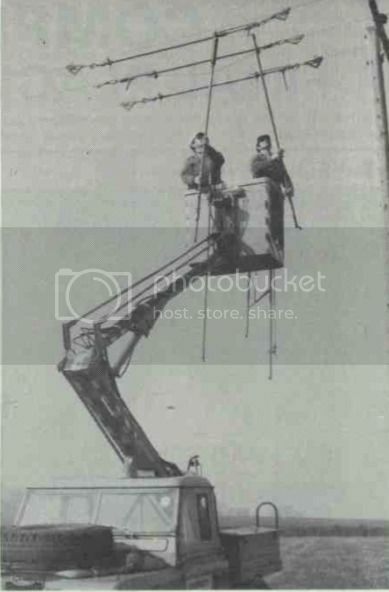 SEB were clearly interested in having the right tool for the job, and as work at height was a regular aspect of their work, cherrypicker conversions were often seen. 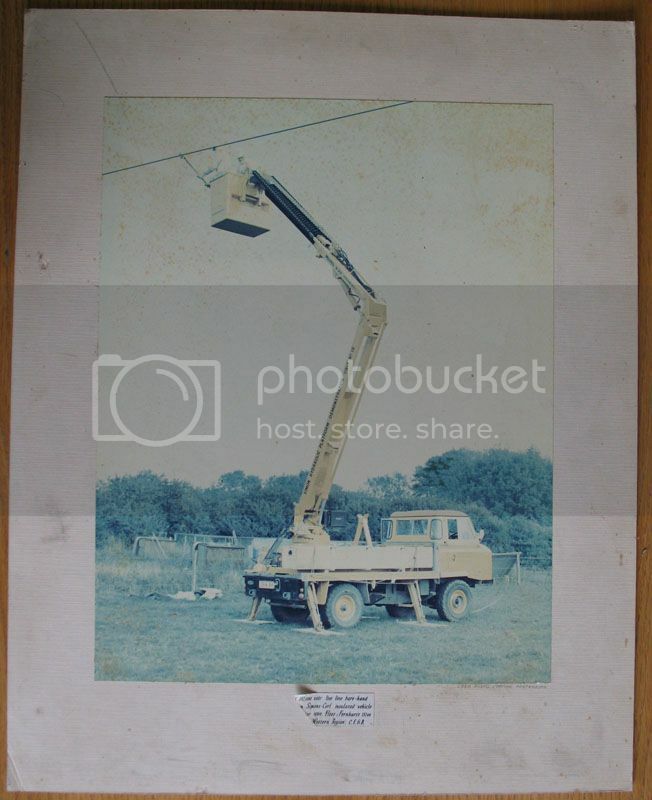 This consisted of a work platform or "bucket" mounted initially on an extending latticework assembly (usually known as a tower wagon) but later vehicles used arms similar to a backhoe to lift the bucket. 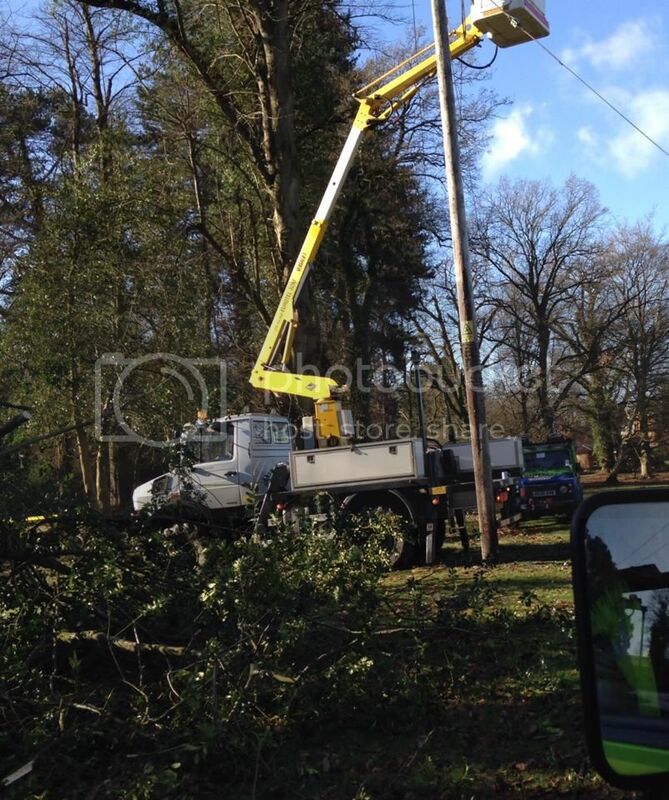 This design was much more flexible as it could incorporate side-slewing and had greater reach than the older designs. 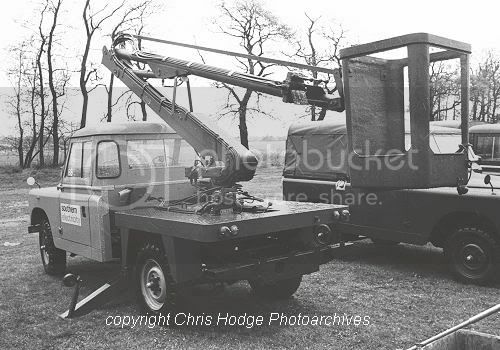 Both types were normally mounted on a lorry or van, and for off road use vehicles such as Land-Rovers or the RB44 could be used. 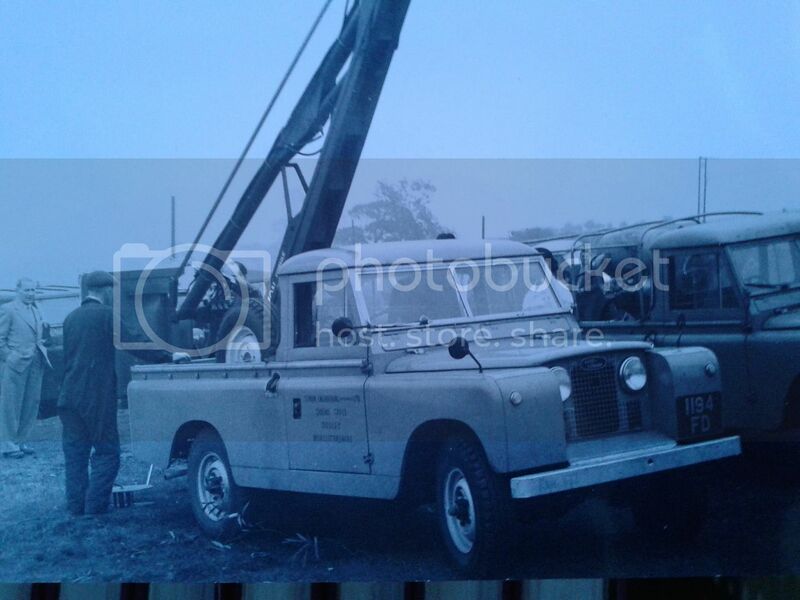 The earliest known SEB conversion I have discovered was a 1960 109" Land-Rover series II, fitted with a Simon l.25 cherrypicker. 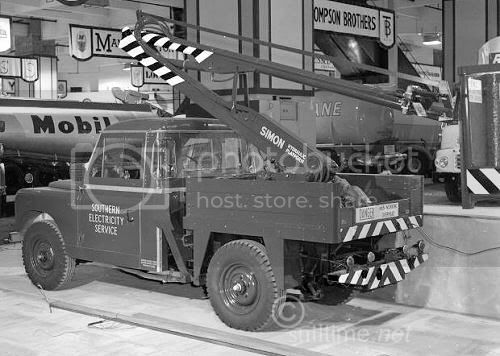 This design was also seen on other vehicles and was popular with Post Office Telephones as well as electricity companies. 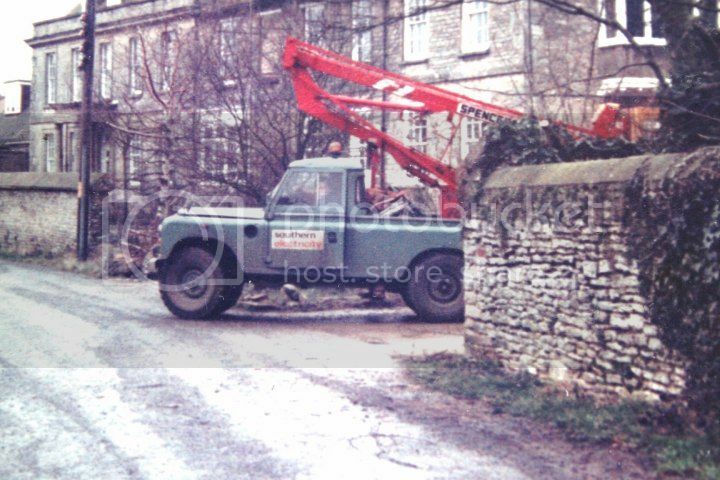 The Simon design was the only 'picker with approved conversion status from Land-Rover until the very late 1960s. 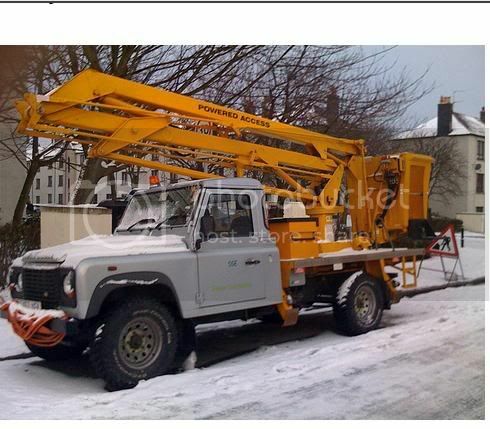 In service it would have looked like this vehicle. 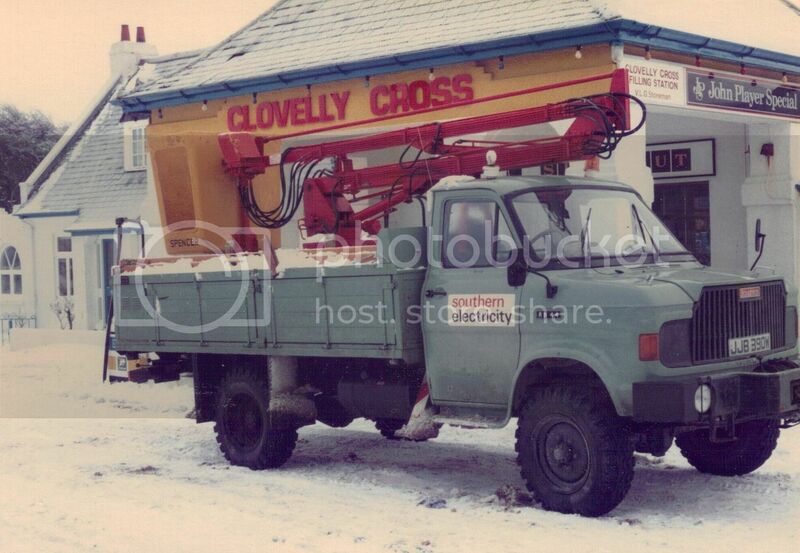 This type of platform body was always used with stabiliser legs. 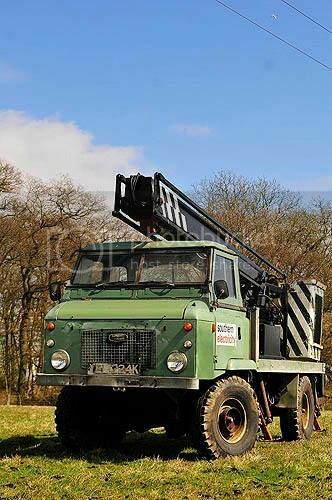 When used with the standard body tub, the legs were usually absent and the vehicle used axle locks which worked between the axle and chassis to restrict movement of the suspension. 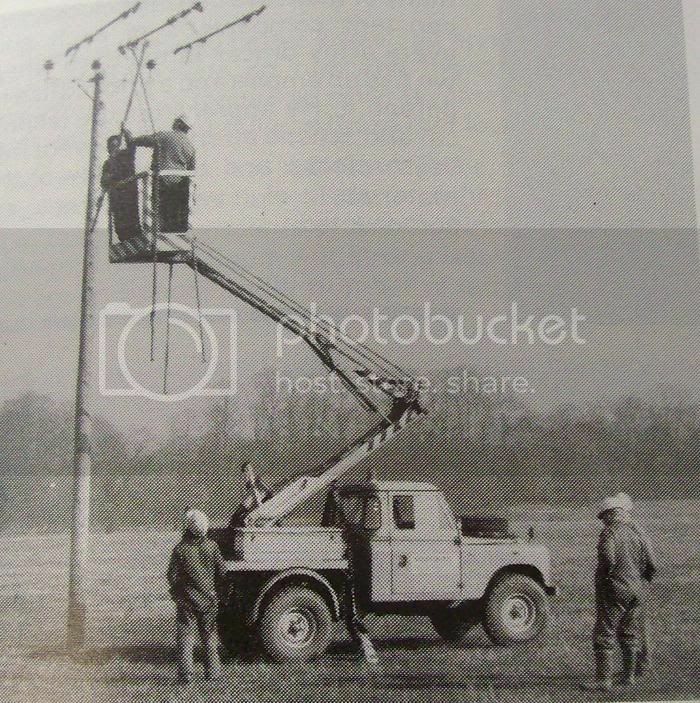 This can be seen on this Land-Rover demonstrator which was being shown to NEEB (North Eastern Electricity Board) when the photo was taken. 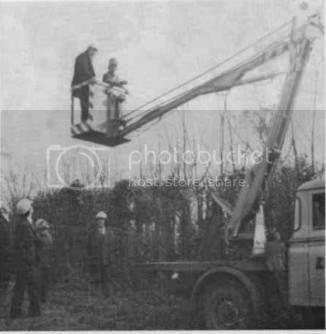 East Midlands Electricity Board made use of the same design. The same Simon design in use on a later SEB 109" showing the post-1966 colour scheme. 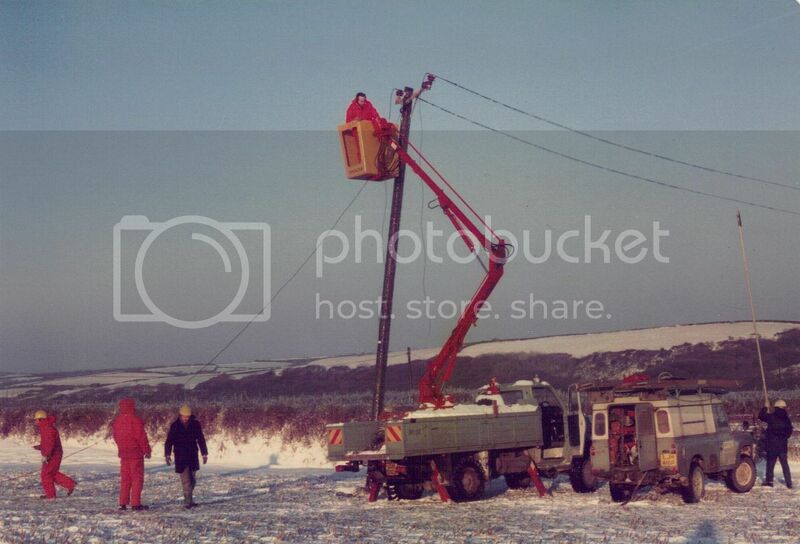 At least two vehicle of this type still survive. 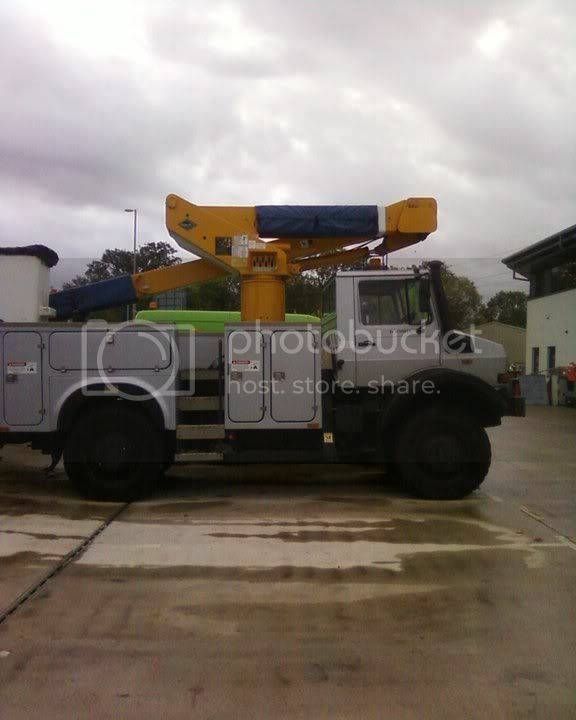 The Simon 'picker on a platform body continued in use for some years. 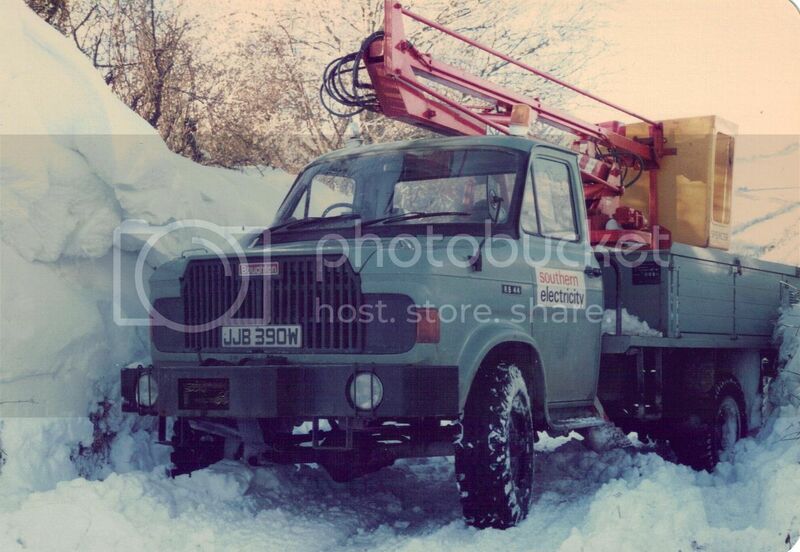 This IIA 1-Ton dates from the early 1970s. 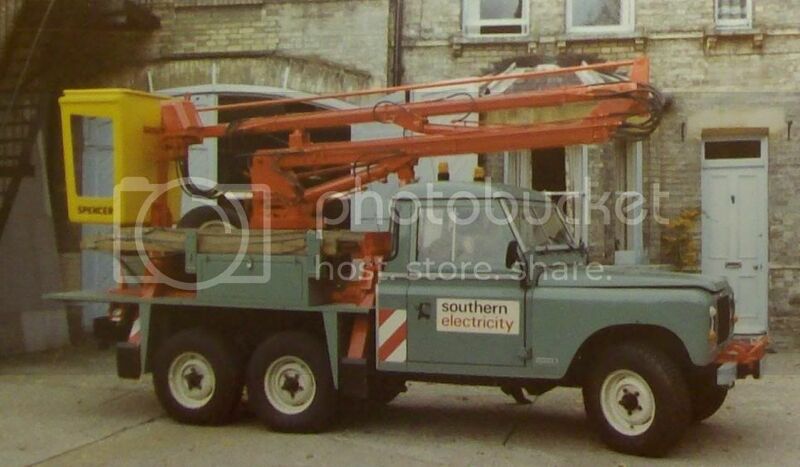 This appears to be a standard 3/4 Ton 109" Land-Rover with an unusually long platform body. 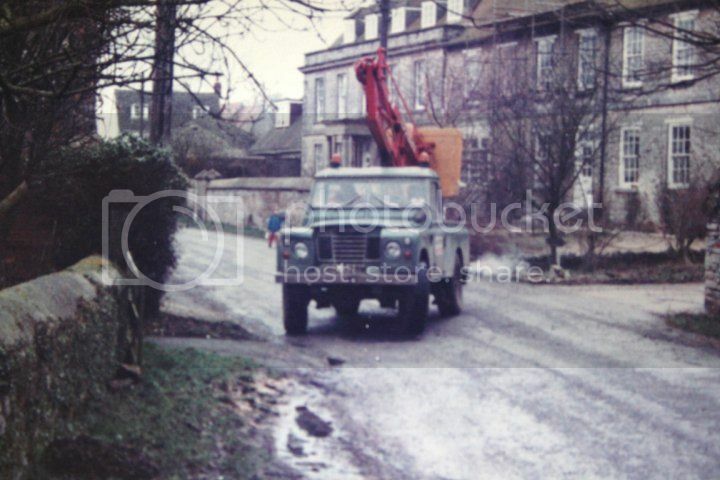 During the 1960s Simon also offered a much larger system which needed a bigger vehicle, SEB made use of these fitted to Forward-Control Land-Rovers. 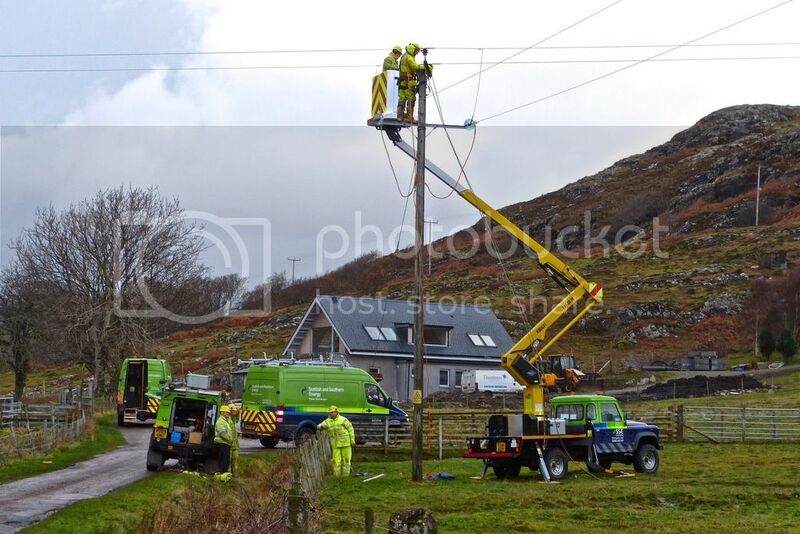 Some of these larger units were also insulated for live-line working. 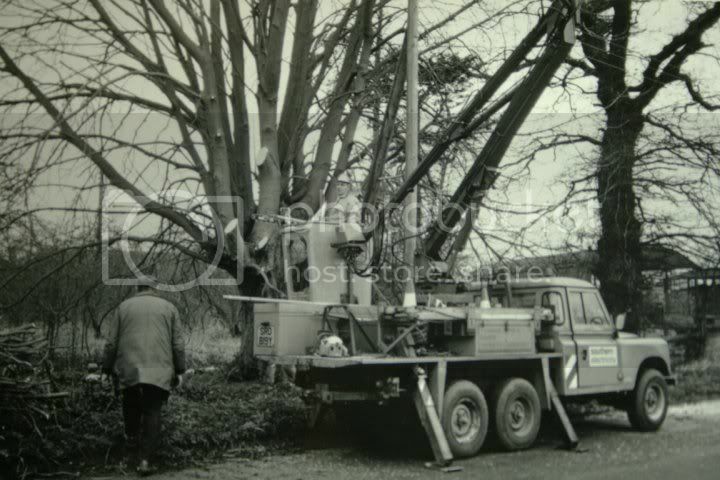 By 1969, a rival to the Simon design had appeared in the form of the Spencer cherryicker. 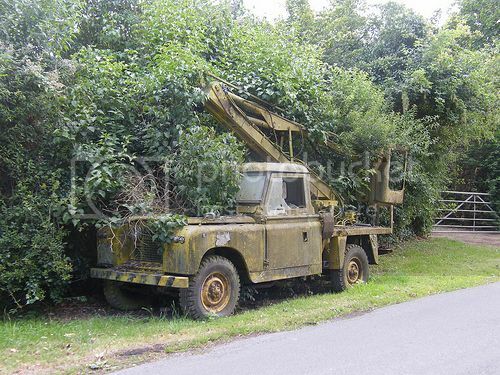 Various models existed although the most common fitment on a Land-Rover was the HM28. 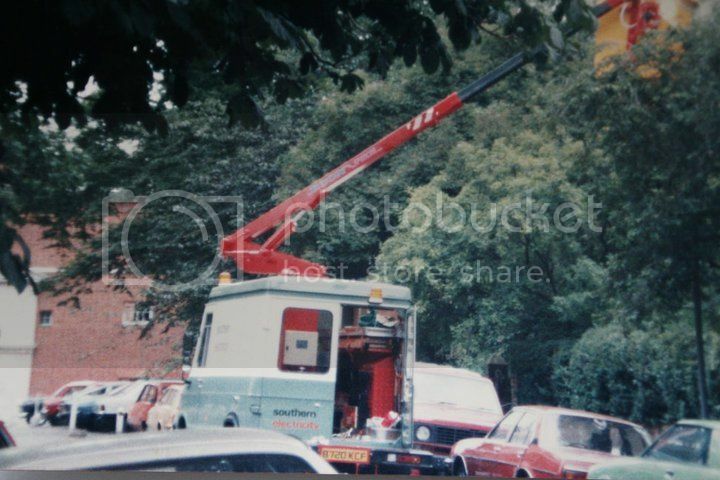 This seems to have offered a slightly increased working height compared to the Simon. Both types seem to have been used side-by-side at SEB. 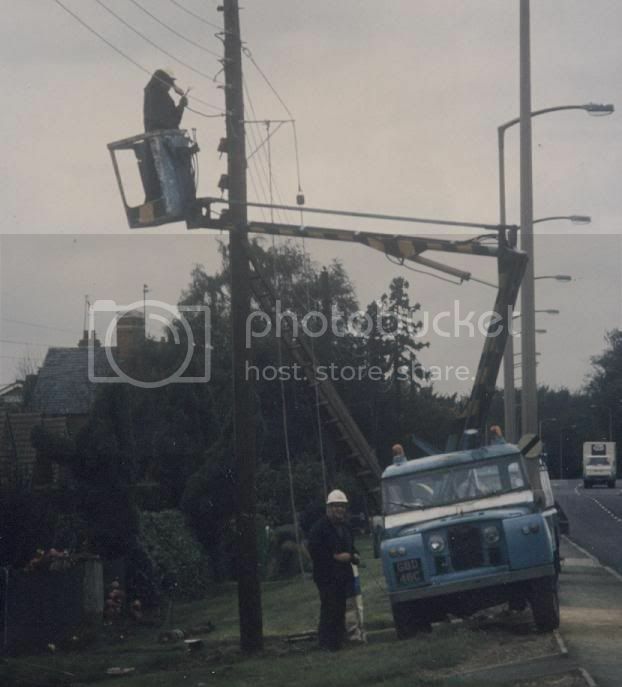 By the 1980s vans fitted with cherrypickers were increasingly common for street lighting work. This one appears to be by Econ and is based on a Dodge van. 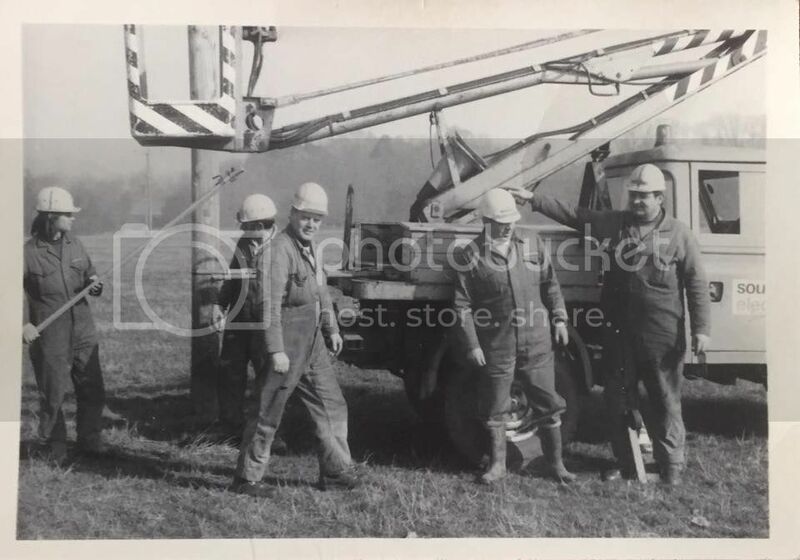 For overhead line work, bigger 'pickers from Spencer were being fitted onto RB44s. 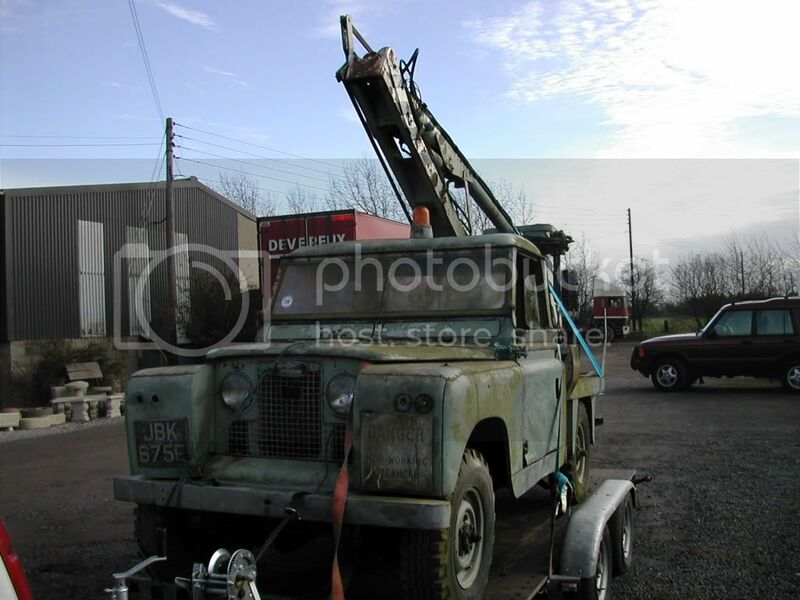 ...and also onto specialist 6x6 conversions of the Land-Rover. 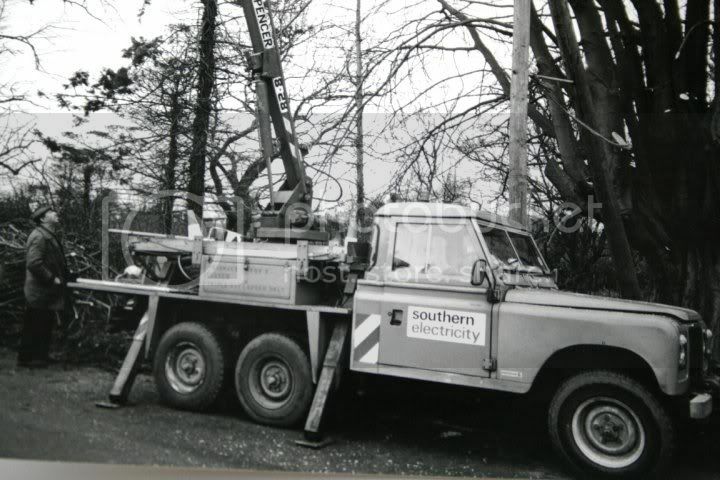 Later versions used the coil-sprung 110 chassis. 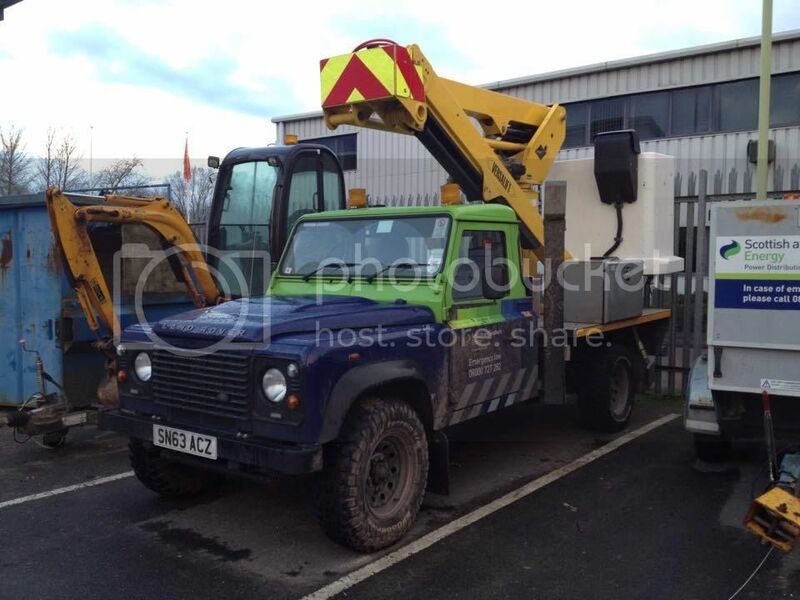 By the later 1990s the Land-Rover was no longer the primary base for a cherrypicker conversion (although this would eventually change) and the Mercedes-Benz Unimog was the most common base vehicle during the privatisation era. 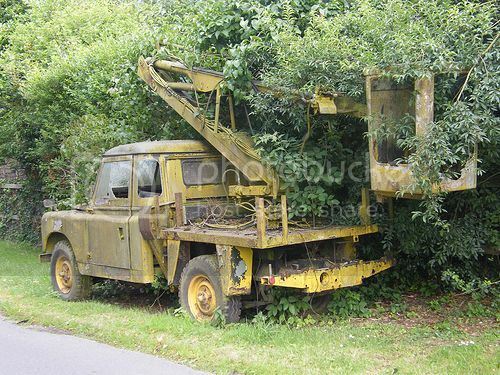 The Unimog, being so much larger and heavier than a Land-Rover, allowed much bigger cherryickers to be fitted, allowing ever-greater reach. 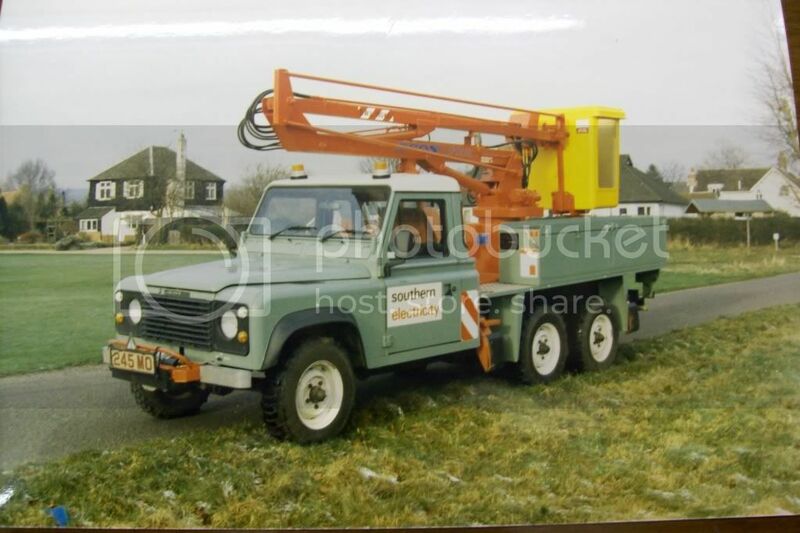 These Unimogs used Cherrypickers by the American company Versalift. 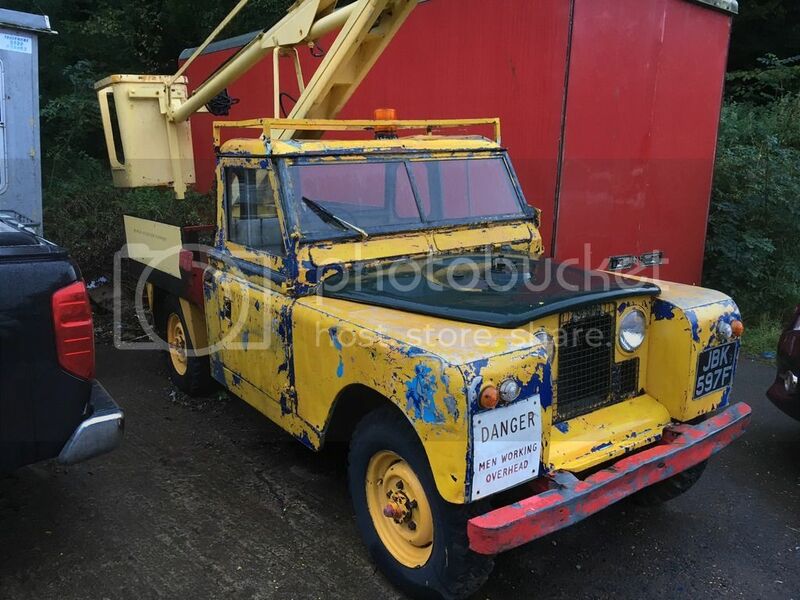 Eventually the Land-Rover came back into favour as the base for a Cherrypicker, with Powered access and Versalift offering conversions, as well as several other firms. 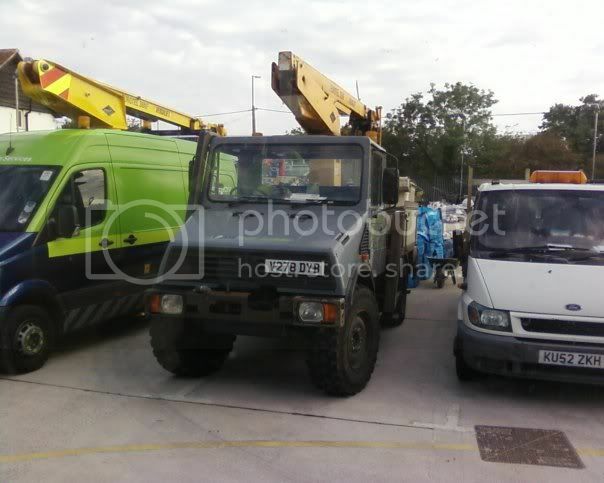 With the end of Defender production it remains to be seen what the new base vehicle will be, however within the industry vehicles from Isuzu and Toyota have been used already.